http://www.mutesoundproofing.com – Mute Soundproofing is our official installer for all of our soundproofing and sound absorbing products in London and within the M25. They are diligent, reliable and adhere strictly to our installation specifications. They are members of the Master Builders and European Builders Confederation and full insurance is applicable to the installation of all of our soundproofing materials along with their general building work. Call them on 02038 580 833 or click on their web site link or logo above for more information. http://www.candc-carpentry.co.uk – C & C Carpentry are a long established business that specialise in most aspects of second fix carpentry and installation of our soundproofing products. They use traditional techniques of workmanship and are diligent in their workmanship. Call them on 07977865089 or 07967857530 or go to their web site via the link above or clicking on their logo. http://www.findabuilder.co.uk – This site will help you find a locally based FMB approved builder who may have experience in the installation of soundproofing products in your area. Go to their web site via the link above or click on their logo then select Specialist followed by soundproofing from the given choices. http://www.quieterhomes.org/ – This web site gives a lot of information about typical domestic noise problems along with solutions. http://www.association-of-noise-consultants.co.uk – This organisation can help you with taking noise measurements and noise testing and also help find an independent acoustic consultant in your area. http://www.noiseabatementsociety.com – This organisation gives a lot of information on awareness and responsible use of sound as well as free advice about noise issues prior to purchasing and installing sound insulation. http://www.buildingsciences.co.uk – This Company can carry out sound testing services as well as Part E testing to check for Building Regulation compliance for the control of noise from neighbours. http://www.acoustic-ltd.co.uk – These are as the name suggests, noise consultants that can assess and advise best solutions to address noise issues. http://www.recycledproducts.org.uk - This recycled products directory is now closed and an alternative is not yet available. http://www.greenspec.co.uk/ – A guide to ‘green’ building design and construction within the UK. http://www.riba.org/go/RIBA/Home.html – The Royal Institute of British Architects that can help find an architect when considering building a new project. http://www.buildingdesign.co.uk/ – Building design is a web site promoting companies related to the construction industry, building products and services. We have a number of noise and product related videos on You-Tube that can be viewed if you click on the logo to the side or via the link below. http://www.petethomas.co.uk – Pete Thomas is a saxophonist and composer and his web site is a big source of reference for musicians, with many pages of information and tutorials. Richard Bower – Harmony Cottage Audio. CD recording, mastering & duplication, music on hold. Freelance demonstrator & music consultant. Contact him on: 01749 831 250. Richard Bower provided us with the music on hold for our phone system. http://www.secondaryglazing.org.uk – A London based supplier and fitter of a wide range of double glazing systems including secondary double glazing to reduce traffic noise through windows. http://www.soundproofingamerica.com/links.asp – Soundproofing America is a company in the USA that is a stockist and supplier of soundproofing materials so if you have come across these details and reside in the USA simply click on the link above to view how they can help you. 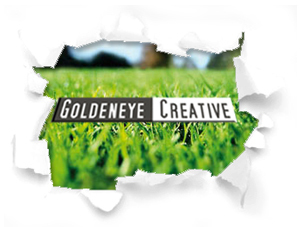 Goldeneye creative are a Wiltshire based business that can produce any type of video including video testimonials or photography, web site SEO, web design and pay per click adword campaigns. www.findtheneedle.co.uk A website and directory that can help source company contact details as well as sourcing many types of products.